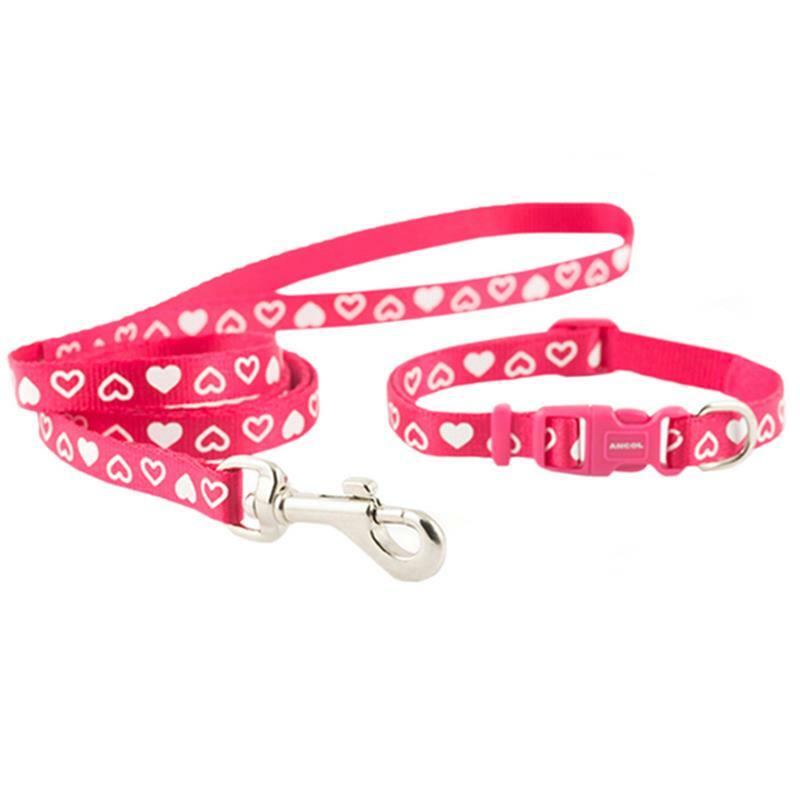 Ancol Puppy Collar & Lead Set - Raspberry/White Hearts. Designed especially for puppies and small dogs, this Ancol dog collar and lead set is not only practical but also attractive, made from soft nylon and has safety reflective stitching which makes it ideal for the low light times of day. Soft and fully adjustable with a quick release clip, this quality, strong collar and lead set is a perfect choice for your pup's first collar and ideal for small dog breeds too. Size 0-1 Adjustable Collar: from 20 to 30cm,Lead length: 1m.